Join us on Thursday 20th June 2019 for our favourite night of the year. Our Annual Dinner brings together our members and their guests to celebrate the achievements over the past year. 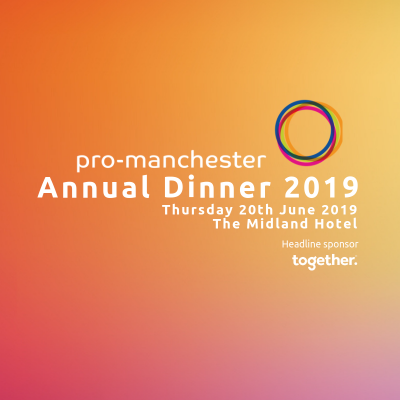 The black-tie dinner is the perfect opportunity to establish new connections, nurture relationships with existing clients and to show support for Manchester’s thriving business community. Guests will enjoy a sparkling drinks reception, followed by a sumptuous dinner in the most spectacular surroundings amongst wonderful company. The evening will then climax with top notch entertainment! As a member’s favourite, tickets for this event sell fast and so make sure you book yours NOW! If you’re interested in attending, you can book online here.